Wing FTP Server is a highly functional, easy-to-use and secure <a href="https://www.wftpserver.com">FTP Server</a> solution that can be used in Windows, Linux, Mac OSX and Solaris. It supports a number of file transfer protocols, including FTP, HTTP, FTPS, HTTPS and SFTP using SSH2, giving your end-users flexibility in how they connect to the server. 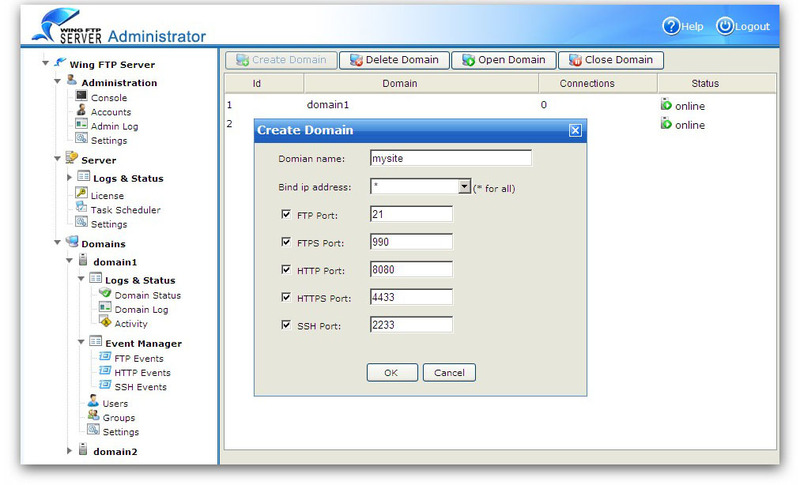 And it provides administrators with a web based interface to administer the server from anywhere. You can also monitor server performance and online sessions and even receive email notifications about various events taking place on the server.